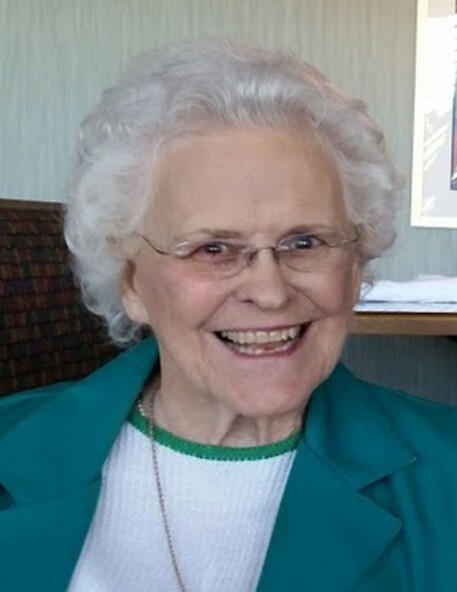 The Reverend Elizabeth Scott Thompson Severance (Betsy Wood), 92, died peacefully Monday, February 11, 2019 at Twin Lakes Community, where she was an inspiration to residents and staff. Elizabeth was born on November 13, 1926 in Alamance County to the late Dr. John Melvin Thompson of Mebane and Ione Scott Thompson of Graham, and was the wife to the late Radford Henry Severance who died in 1998. Elizabeth, a retired Presbyterian Minister, was a native of Graham, N.C. She was a graduate of Graham High School, Saint Mary’s in Raleigh, Elon College (now Elon University) and the Duke University Divinity School, where she was awarded the Strader Award for Christian Education. She was chaplain for the Cumberland County Hospital System in Fayetteville, N.C. before coming to Durham Regional Hospital in 1980 to begin its Department of Chaplaincy and served as the First Director of Chaplain Services. Elizabeth was twice president of the Durham Ministerial Association and a past member of the North Carolina Chaplains’ Association and the College of Chaplains. She was twice honored with the Durham YWCA Women of Achievement award. She has been a supply minister at numerous area Presbyterian churches and has been a leader of worship services, music and Bible studies at retirement and nursing homes in Durham. Prior to entering the ministry, Elizabeth was well known as a singer and choral director. She was the founder and first director of the Alamance Chorale. For many years she sang with the Duke Chapel Choir and was once its summer director. She was also director of the Divinity School choir her last semester at Duke. She was a past Director of Music and a Sunday School teacher at Bethany Presbyterian Church in Graham. She most recently enjoyed teaching and attending Sunday School at the First Presbyterian Church in Burlington. Elizabeth enjoyed playing bridge and was a life master in the American Contract Bridge League. After moving back to Burlington, she continued to enjoy bridge at the Kernodle Center and at Twin Lakes Community. She loved life, loved people, and lived every day to the fullest. She is survived by her daughters, Elizabeth “Betsy” Wood Carson; Mary Wood Donnell and husband, Bob; a son, William “Bill” Wood and wife, Becky; nine grandchildren and six great grandchildren. She was preceded in death by her husband, parents and a brother, J. “Mel” Thompson, Jr.
A memorial service will be held at 2:00PM Saturday, February 23, 2019 in the May-Foley Chapel at Twin Lakes Community with a reception following at the Twin Lakes Pepper Tree Cafe. Interment will take place at Hawfields Presbyterian Church Cemetery prior to the memorial service. Elizabeth believed that flowers were for the living. In lieu of flowers the family requests that memorials be made to Alamance County Hospice or the Presbyterian Disaster Fund.